Credit: Peter Rubin/JPL-CALTECH. Spacecraft SSL. [Satnews] Space Systems/Loral (SSL), provider of commercial satellites, announces it is the industrial partner for a project in the running to be NASA’s next Discovery mission. 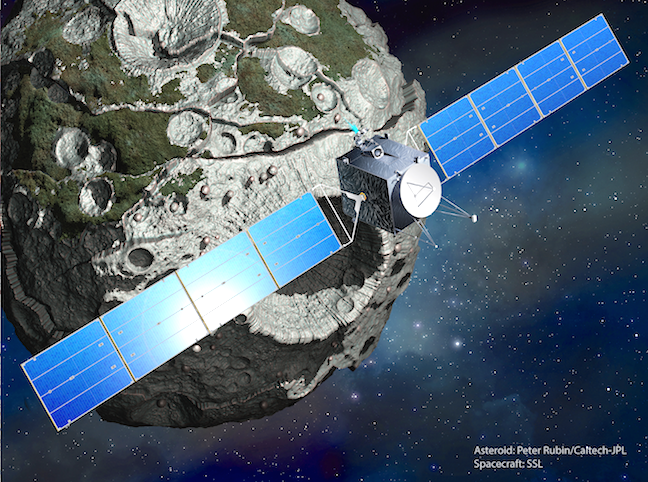 SSL will work for Caltech’s Jet Propulsion Laboratory (JPL) to support Principal Investigator Dr. Lindy Elkins-Tanton, director of Arizona State University’s (ASU) School of Earth and Space Exploration, in a mission to research Psyche, a massive asteroid made of iron and nickel, which is believed to be the only place in the solar system where a metal planetary core can be studied. 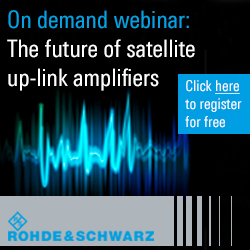 Recent successes as a subsystems provider have helped SSL prove its value to NASA. The company provided the propulsion system for NASA’s Lunar Atmosphere Dust Environment Explorer (LADEE) spacecraft, which successfully ended its 100-day mission in 2014. The NASA Discovery Program goal is to deepen the knowledge of our solar system by launching modest cost-capped missions on a routine cadence. 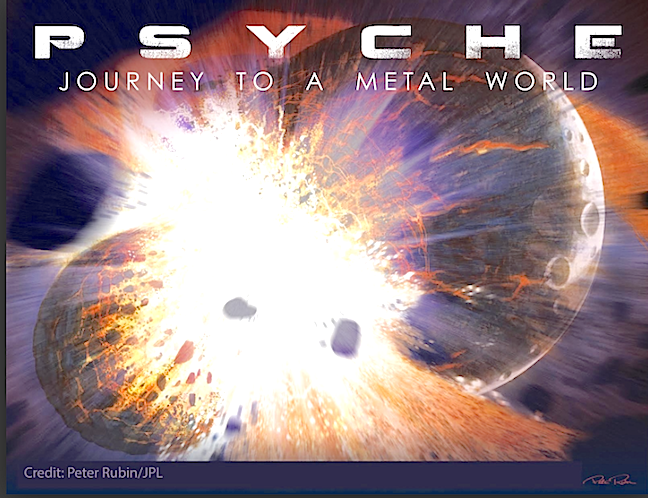 The Psyche mission concept was one of five selected for comprehensive study via Phase A contracts. SSL will support JPL, working within a multi-institution team to conduct concept design studies and analyses. Based on the results, in late 2016 NASA will select one or two of the five Discovery missions for flight, to launch in the early 2020s. For the Psyche mission, SSL would provide the “power-propulsion chassis,” a highly capable composite structure spacecraft bus equipped with a high-power electric propulsion system. The basic spacecraft design has been proven on 100 missions, and it will have the performance to deliver the science package and beam back the results.